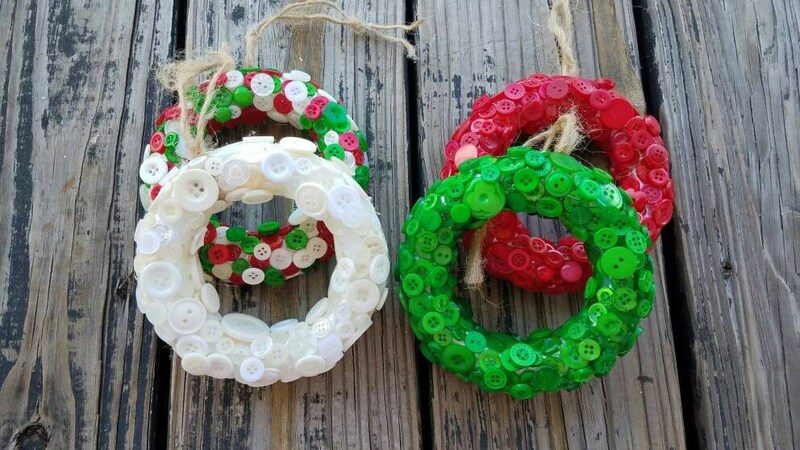 Festive red, green, and white buttons make adorable Holiday ornaments. 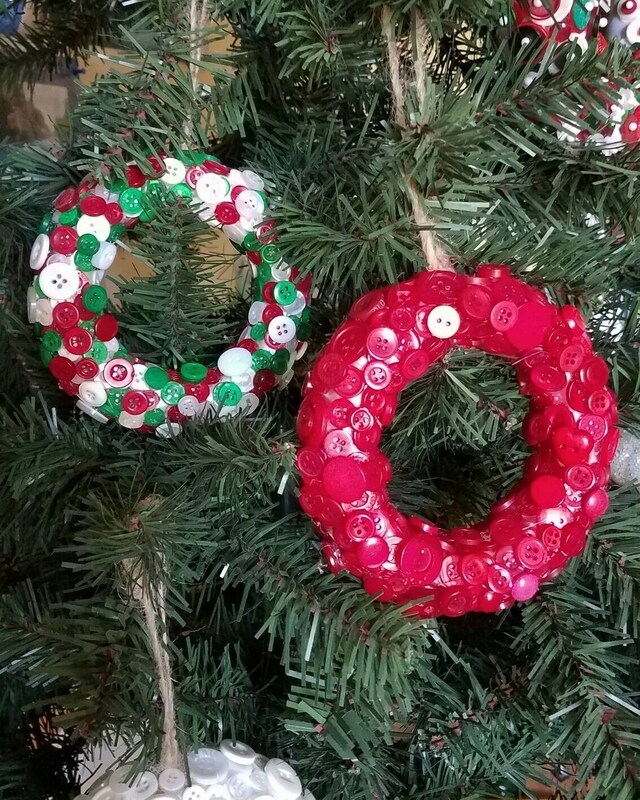 This set of 4 button wreath ornaments are covered in hundreds of color Christmas buttons. 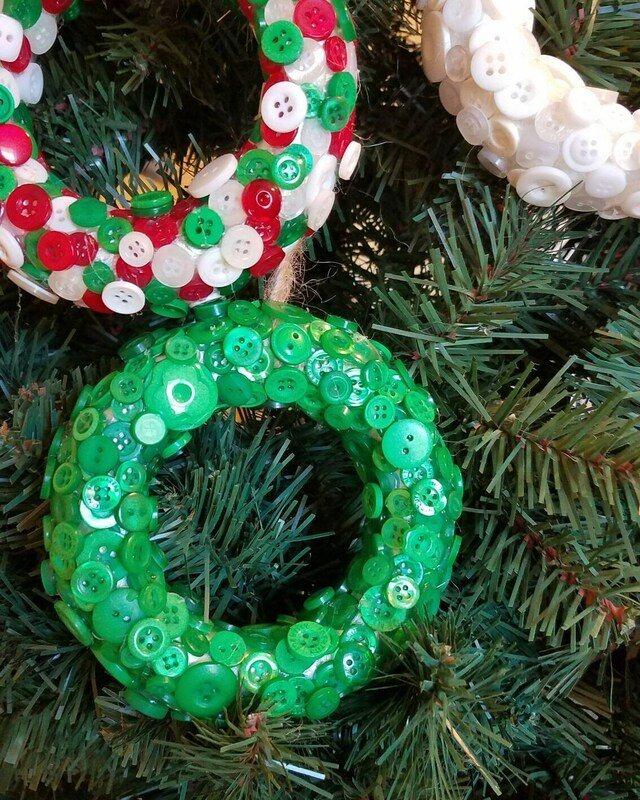 Jute ornament loops add a touch of rustic charm. 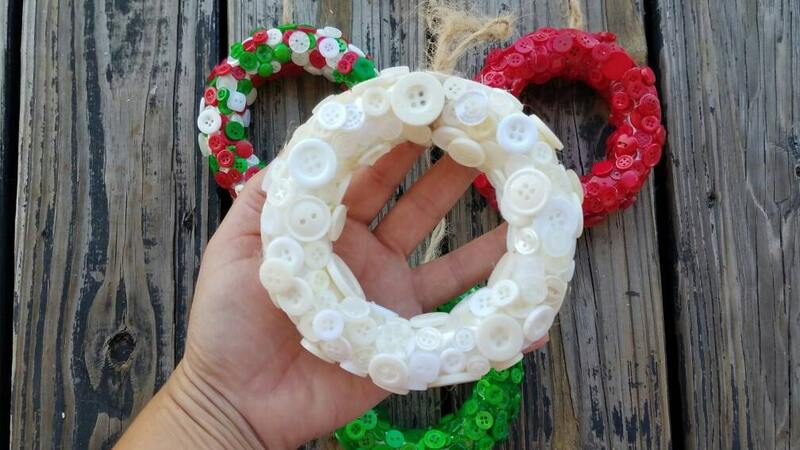 You have two sizes to choose from. 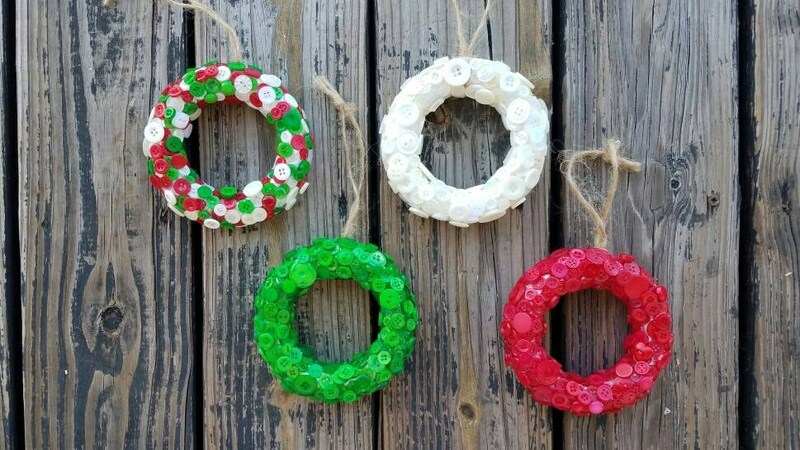 Each set comes with 4 ornaments in solid white, solid red, solid green, and multi colored red/white/green.